Mojo barking at seemingly nothing – Skinwalker? So, I have the best black lab in the world! His name is Mojo and he is ancient and bonded to me. We are never apart. He is always happy and always ready to go! Some of the Crow people tease me because he is always sitting in my old truck. Four different times now he has gone crazy angry chasing and barking at seemingly nothing? It started two weeks ago when he was barking and went after something in the house in the middle of the night. The next morning when we were way outback on the ranch he was looking at something and barking and barking as we came closer. Yesterday was the most abnormal barking, we were sitting in the front room about two in the afternoon basking in the warmth of a huge fire and Mojo just started barking at something in the doorway. He jumped up and went after it and I grabbed my ever-present shotgun and followed. Nothing – he went to the sliding glass door and barked. I looked and looked but nothing. I praised him and we went back into the living room all the while he had a low growl followed by an occasional bark. It was the oddest thing I have experienced. I was reminded of Balaam’s donkey seeing the angel in the road in Numbers 22: 21-39. Moving to the ranch I have seen some odd abnormal unconventional things and sensed a “presence”. It is interesting that late at night an owl has taken roost across the river from the house and then last night in the pines a few feet from the house. I do not know if Mojo sees something that I am unable to see – but my guess is that whatever he sees is not a benevolent angel as in Balaam’s case and I trust my dogs instinct. I remember years back when I first became aware of Skinwalkers and the neighbor (Navajo) told me get a cat they always sense the presence. Just wonder if anyone has any thoughts on this? Balaam’s donkey is a good analogy. I’m sure you’re right that Mojo is seeing something — which would frighten *me*, but you’re something of an expert in this area, it seems… Stay safe. Love the pics. You and Mojo are twins!! We used to have cats. I believe they can sense “Spirit Activity”. We would often see them staring at something invisible. Dogs are very similar. My Cattle dog reacts to sounds and smells I just can’t smell or hear. I think dogs are part-angelic. They do PROTECT us!! (Remember, DOG spelled backwards is GOD). Mojo is awesome! 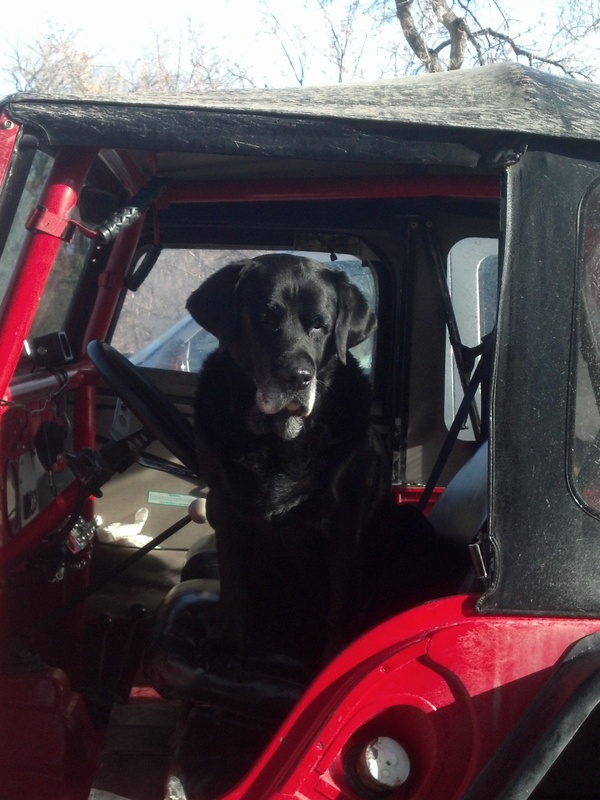 I hear that – I always post photos of Mojo saying Dog is my copilot! They are awesome! Several years ago, in Eastern Oregon, my daughter talked me into letting her get a kitten. He grew up and became an indoor/outdoor cat. He would come in the house, fill his belly, take a long nap and then spent most of the day outside. For several days though he would come in the house, eat and want to immediately go outside. This was unlike his daily routine but a couple of days later we had a mild earthquake. I have no doubt that the cat sensed the quake. Never underestimate what your dog can sense. 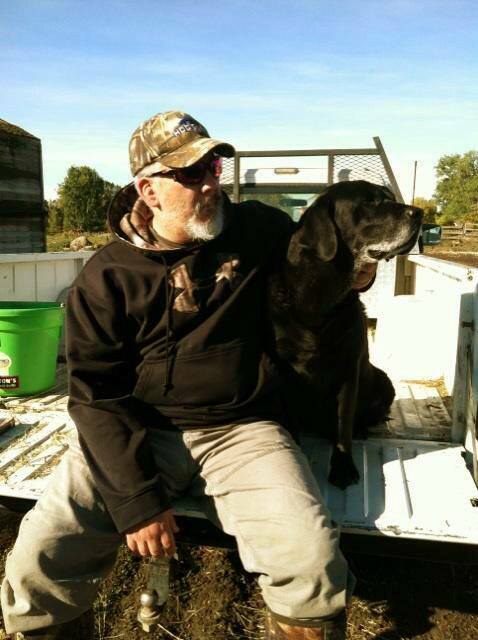 I was a county agent in a small agricultural town in Eastern Oregon and would take my Black Lab, I believe she was a throwback to a St John’s waterdog, to work with me. She was laid back and would lay on the floor. Twice in all the years I had her she softly growled, barely audible, at two men who came, separately, into my office. One was a known drug dealer and the other was a candidate for County commissioner, who was later elected! Another time we were camping along a river near a wilderness area and I woke up, in the middle of the night, hearing that same low growl. I never did determine what she was growling at but something was out there. You never know. I strongly believe, in the “old days” that man was able to unconsciously perceive dangers that threatened his survival. The domestication of the dog aided in the advancement of “us” because the dogs could better perceive what we couldn’t. Is the “presence” you sensed good or evil? Was the “presence” there when you moved there or did it follow you from someplace else? Is the owl, in your opinion, a Skin walker? It was here when I moved here and I believe that someone made a deal with it – so to manifest itself or ? Wouldn’t it be prudent to leave and live somewhere else? Do you believe you can avoid its intentions? If so, how? I didn’t know that about the owl but read, years ago, the book, “I Heard the Raven Call My name”. I live in Texas. I rescued a Yorkshire Terrier minutes b4 he was to be put down. I was a trucker 48 states at the time. He has saved me several times alerting me to leave where I am. Minutes after leaving a tornado hit the spot we sat in . He just went crazy woke me up saw the weather was bad the first time and noticed I was late to get to the reciever. After this I listen for his warnings. I now live with my dog and he is my shadow and life long partner. I live on a small farm. Have seen lights in the sky have heard things in the night. My dog Tank has also went crazy barking and going in circles. The last time I followed him inside the barn , shotgun in hand. He cornered what ever it was up against a corner wall in the barn. I saw nothing but had a strange taste like metal in my mouth and felt quite nauseated. I being afraid of what ever it was said ” Please who ever you are, show yourself I mean you no harm” At that moment my shotgun began turning red hot. I could not hold it any longer. My dog Tank fell over like he was dead but I looked at him his eyes open but as if he was paralyzed. I could not move my feet I was as if frozen in my stance. Awesome diatribe – thinking back you wonder how many times our animals have saved us!